The attorney for former NFL tight end Kellen Winslow II said his client did nothing wrong when he was arrested Thursday for suspicion of burglary in California. His attorney, Harvey Steinberg, told NBC News that Winslow "emphatically denies committing any burglary." Winslow, who was charged with one felony count of first-degree burglary, is due in court Monday. The alleged incident happened at a trailer park in northern San Diego County. "He would have no need to burglarize or steal anything from anyone at a trailer park," Steinberg said Saturday. "He looks forward to being vindicated once this matter is fully investigated and adjudicated through the court system." Winslow's agent, Denise White, told NBC News that Winslow was house hunting for his mother-in-law and that the mobile home is owned by friends of Winslow's wife. "An over-reactive neighbor called police after she saw Kellen walking around a mobile home," White said. "The owner said he never went inside the home or took anything, nor was anything taken, touched or moved." A resident at the trailer park told San Diego television station 10news.com that when he confronted Winslow, the former NFL player said he was looking for his dog. 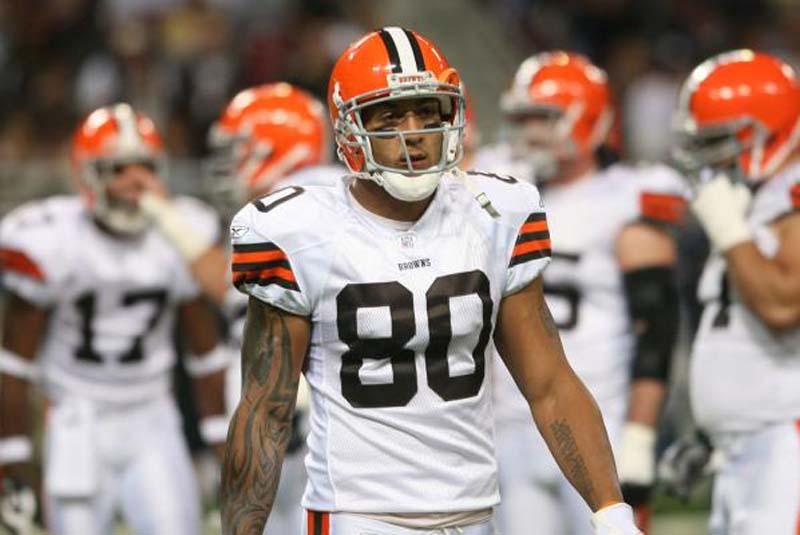 Winslow, the son of Hall of Fame tight end Kellen Winslow, played 10 seasons with the Cleveland Browns, Tampa Bay Buccaneers, New England Patriots and New York Jets. He also spent time with Seattle but never played a game for the Seahawks. The younger Winslow finished his career with 469 receptions for 5,236 yards and 25 touchdowns. He had a career-best 89 receptions in 2006 and had his only 1,000-yard season (1,106) after making 82 catches for the Browns in 2007.